The Clyfford collection is defined by simple contemporary design. 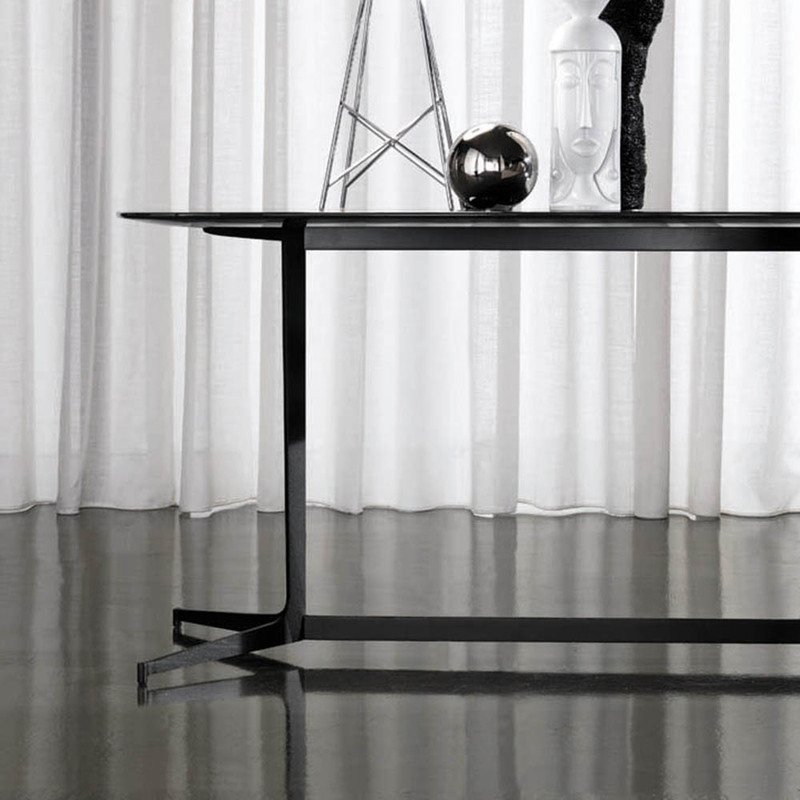 The table frame is made from laser-cut, drawn metal and finished in semi gloss pewter-color. 71" W, 27.5" D, 28.5"